Rogue Brewery has taken the Terroir movement to heart, growing all their ingredients within the state where the reside, and making some pretty good beer with it at the same time. Truth is this is the ONLY way Terroir works. If you get apples grown in your state but they are small and come with worms, you aren’t going to buy them no matter how local they are. Same with beer, if the beer is no good, you will buy something else. Well Rogue has taken the challenge and really run with it. There are several things that Rogue does really well. First is their location for their main brewery, Newport, Oregon! If I could work anywhere in the world Newport would be the place. It is a Picturesque little community on the Oregon coast that sits at the mouth of the Yaquina River and has a beautiful little bay and marina. It is truly one of my favorite places on earth. They have painted bottles! That is awesome, and they have very branded artwork on each one. I am disappointed with breweries that have gone away from paint for the less expensive paper label. Listen, if I’m paying $13 for a bottle of beer I want a little paint on my bottle. 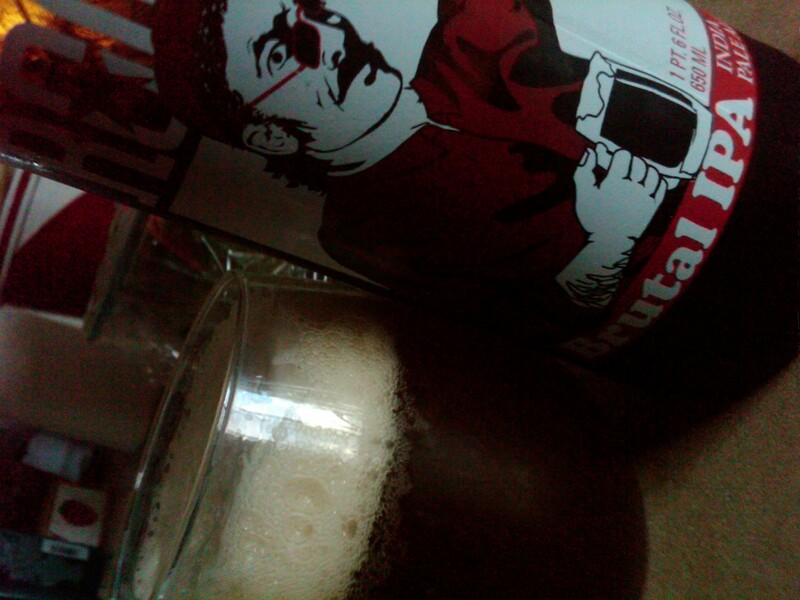 I have criticized Rogue in the past for being shamelessly similar in flavor from their porter to their ale. It was all over hopped and so samey same I wrote them off for over a year. I talked about it here. But that doesn’t seem to be the case any more. I don’t know if the locally grown ingredients have anything to do with it, but this brew was different, and refreshing, and damn good! The Photo doesn’t do it justice, but the beer is a bright orange ambery color and it tastes like a good hoppy IPA should. But it doesn’t taste like every other Rogue product, and that was the surprise for me. So Rogue is committed to the environment, grows all their ingredients locally within the state of Oregon, supports Oregon agriculture, makes great tasting beer, and has painted bottles. What more do you need to know? Go out and buy some of their stuff. It is solid and is beginning to make me think that there might be something to this whole Terroir thing. ← Do You Have Weekend Drinking Routine? I Sure Do. Glad to see Rogue getting some love… they’ve been a longtime all-star for me and I’m glad they’re not succumbing to too many of the crazy beer trends these days. I didn’t know that all their ingredients were procured in-state. That’s pretty cool maybe I’ll look for them a little harder at the stores. Thanks Don for the great insight. I pretty much wrote Rogue off awhile ago, as well. I think using their Pacman yeast for everything ended up making everything taste so similar, and usually with a heavy dose of diacetyl. But I have been enjoying the Chatoe Rogue stuff. I think they need to quit making a gazillion beers. The Dirtoir black lager was probably the best Rogue beer I’ve had, and it was one of the very few not made with the Pacman yeast, go figure.